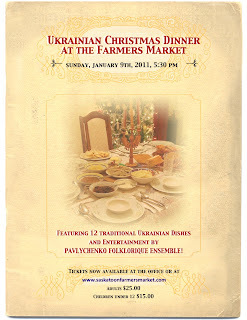 Does your family celebrate Ukrainian Christmas this week? 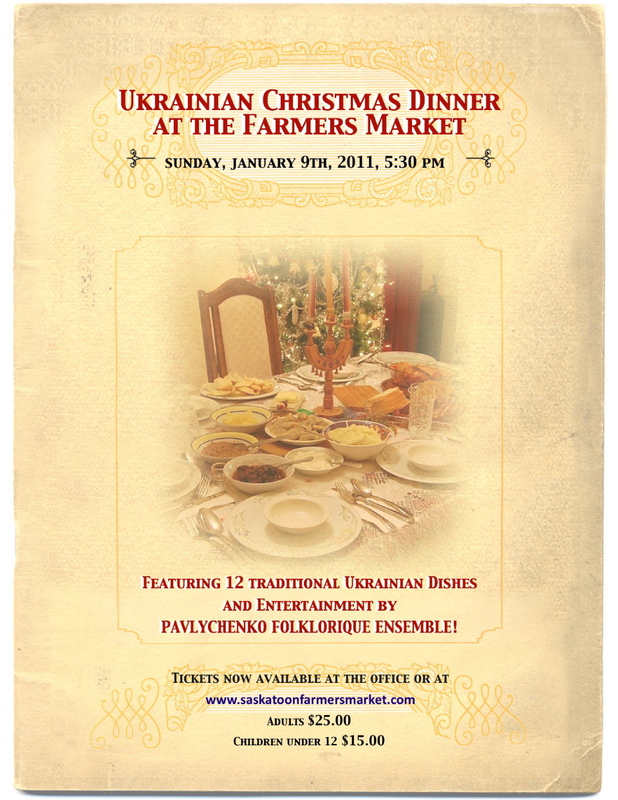 The Saskatoon Farmers' Market is offering a great opportunity to celebrate and learn more about Ukrainian Christmas traditions for those like me who don't know too much about them. The all-ages celebration begins at the Market on Sunday, January 9, between 5:30 and 6 p.m. The 12 traditional dishes of Ukrainian Christmas will be served and other Ukrainian Christmas traditions will be explained. Pavlychenko Folklorique Ensemble also will provide cabaret-style entertainment. Tickets are available at the Market office or online for $25 or $15 for children under 12.